Guardamar del Segura is renowned for its fine white sandy beaches and is situated just 32 km south of Alicante airport on the Costa Blanca in Spain with a transfer journey time of approximately 38 minutes. 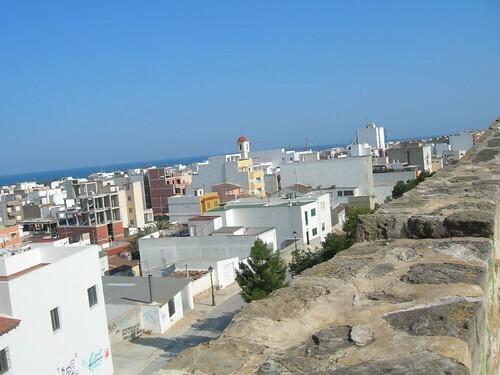 Situated on the mouth of the river Segura, Guardamar is just to the north of Torrelamata (La Mata) and Torrevieja. How much is the taxi fare from Guardamar to Valencia? Are there coach transfers from Alicante to Guardamar? What is the nearest Guardamar airport? Is there a bus from Alicante airport to Guardamar? Getting to Guardamar from Alicante airport? Is there a bus from Murcia airport to Guardamar? How much is a shuttle Alicante airport to Guardamar? How much by bus from Alicante airport to Guardamar? Guardamar to Alicante how far? Bus from Guardamar to Valencia? Can I get a transfer direct to Guardamar from Alicante airport? What is the distance between Alicante airport and Guardamar? How long will it take to travel from Alicante airport to Guardamar? How to get from Murcia airport to Guardamar? Is there a train from Alicante to Guardamar? The nearest Guardamar airport is at Alicante airport but a good alternative with cheap flight options from Ryanair is the growing San Javier Murcia airport which is at Murcia. This is not much further being only 45 km to the south and the transfer time is 45 minutes. The third option which is 237 km to the north of Guardamar and with a long transfer time of 145 minutes, is Valencia airport. In the section below we have detailed options with costs and prices for airport transfers to Guardamar from either Alicante airport, Murcia airport or Valencia airport. The taxi rank at Alicante airport (see picture above) is immediately to the right as you exit the arrivals terminal. You will see the sign from Radio Taxis Elche with the official prices listed. To confirm with your driver exact price you will pay a sometimes different taxi companies add-on extras for sociable hours, public holidays and large amounts of luggage. Apart from that there is the issue of an unscrupulous driver adding on a few euros in the expectation that you will just accept the fare. Jumping into a taxi which will take you directly to your chosen accommodation option in Guardamar is of course the easiest option and naturally the most expensive. To get a taxi from Alicante airport to Guardamar del Segura costs approximately €55. Most taxis from Alicante to Guardamar have a limit of four people so if there are any more in your group it may be more cost-effective to hire a private minibus or shuttle – see the section below. A private shuttle bus transfer from Alicante airport to Guardamar will cost £22 per person one way. For just one person the cost of transfer to Guardamar would be about €120 which is about £99. A private shuttle bus transfer from Murcia airport to Guardamar will cost £31 per person one way. A private shuttle bus transfer from Valencia airport to Guardamar will cost £154 per person one way. Arranging in advance and booking a private shuttle bus from Alicante airport to Guardamar will save you money compared to taking a taxi. You can either take a private shuttle which will take you direct to your destination in Guardamar. The size of shuttle vehicle varies from small mini-buses to coach transfers to Guardamar. Hiring a car from Alicante airport to get you to Guardamar is a great idea if you also want to explore the fantastic Costa Blanca area of Spain. Car hire from Alicante airport is very cheap so it could be a good option even if you don’t intend to use the car much. Guardamar is very much a compact beach resort with usually plenty of Guardamar bars, restaurants and beaches within walking distance, so unless you want to go on a number of excursions you probably don’t need to consider taking out Guardamar car hire. Our page on Costa Blanca tourist information will be a big help if you are looking to explore.